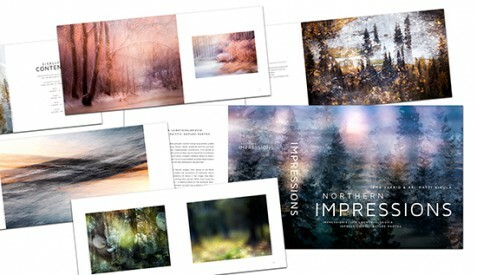 Northern Impressions – Impressionistic Nature Photos presents familiar subjects from nature in the North rendered using a novel approach that breaks the boundaries of traditional nature photography. The potent, artistic interpretations of nature in the images have been greatly inspired by impressionist painting, among other sources. 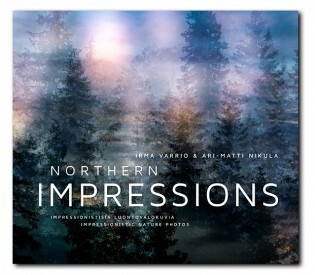 What most moves the artists – Irma Varrio and Ari-Matti Nikula – in their work is meeting nature on the emotional level: through their lens we see its depth and intricacy wrought into a dialogue of the seen and the experienced. The impressions are those captured at the moment the picture is taken, the culmination of a process guided by studies of colour, light, motion and form, as well as the use of experimental techniques. The images are created using intentional movement of the camera, multiple exposures, vaseline filters and the out-of-focus area.